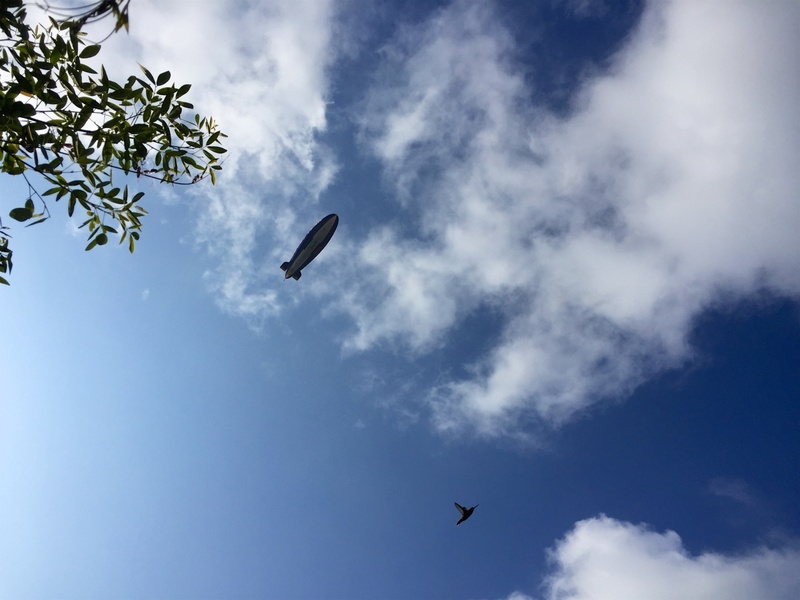 The Goodyear Blimp was passing overhead. It’s noisy! Since it was pretty low, I tried to take an iPhone picture. In the shot, I got a serendipitous cameo by one of the local Anna’s Hummingbirds.